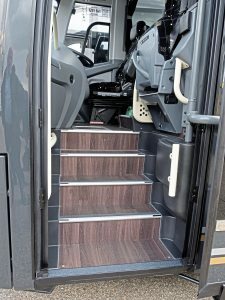 Spearheading Lothian Motorcoaches’ fleet of 18 vehicles are five new 14-metre tri-axle Plaxton Panther 3’s, liveried in charcoal grey. 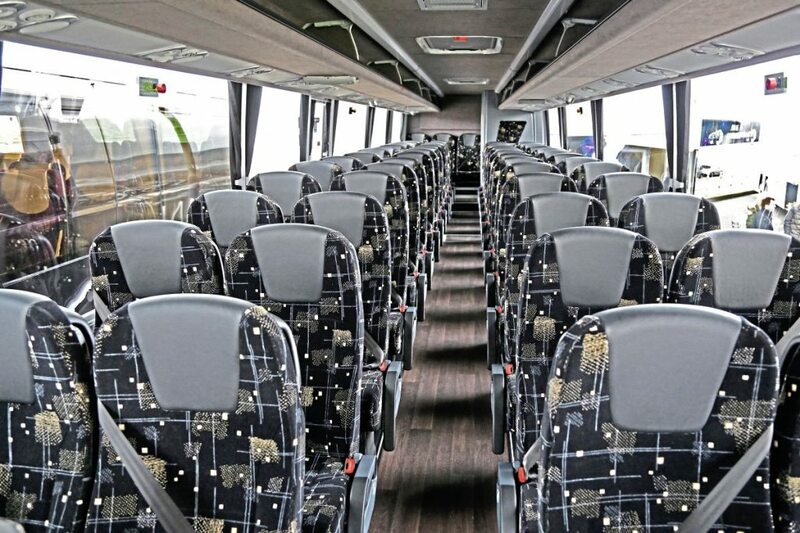 The bespoke coaches have 61 seats in a charcoal version of Lothian’s unique moquette. 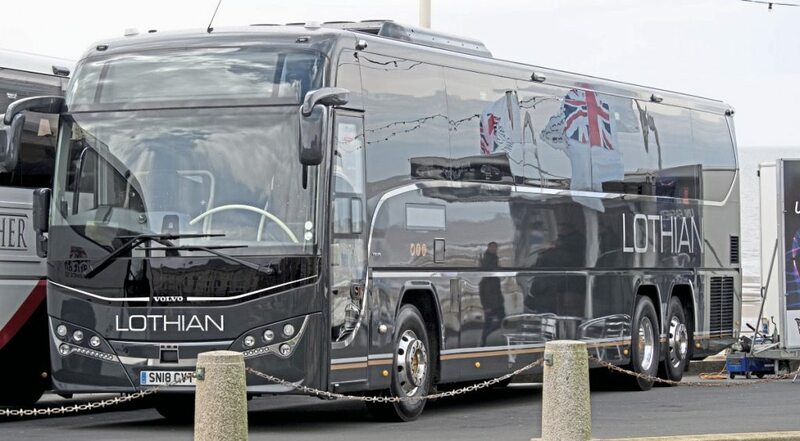 They are backed by three fully refurbished Van Hool Acrons in the same livery and specification, and for shorter transfers from, for example, cruise ships, ten Wrights Gemini double-deck buses have been brought up to coach specification, including a refit with high-back, seatbelted seats. The bold launch, with Lothian Motorcoaches branding was announced exclusively to Bus & Coach Buyer at the UK Coach Rally. 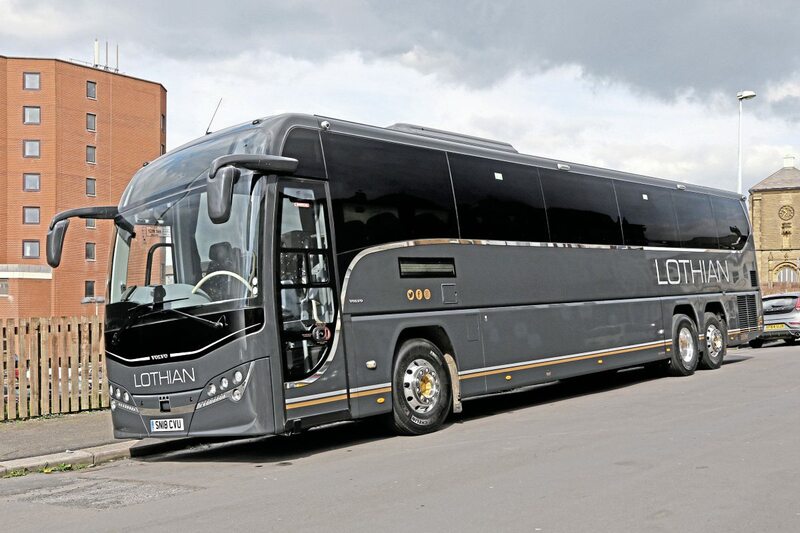 It sees Lothian complete an Edinburgh presence in all PCV disciplines, with a thriving bus fleet and open-top city tours which Managing Director Richard Hall says will provide a marketing platform for a coach fleet centred on domestic and incoming tourism services. 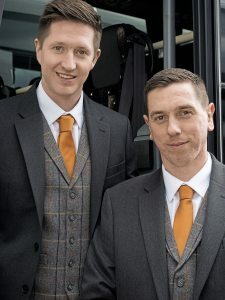 At the helm of the operation are General Manager Mark Heritage and Coaching and Touring Manager Willie Hamilton, who will manage all day-to day aspects of a programme of day trips and tourist transfers. Initially, the company will be based at its Longstone bus garage but Richard says he expects the fleet to have a new home by the end of 2018. 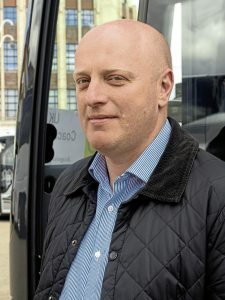 Richard says the huge customer base it already has through operating more than 790 buses and 30 open-top tour vehicles give it an opportunity to cross-sell to day tours and other coach services: “We have deliberately pitched at the high end of coaching; we won’t be providing home-to-school services. 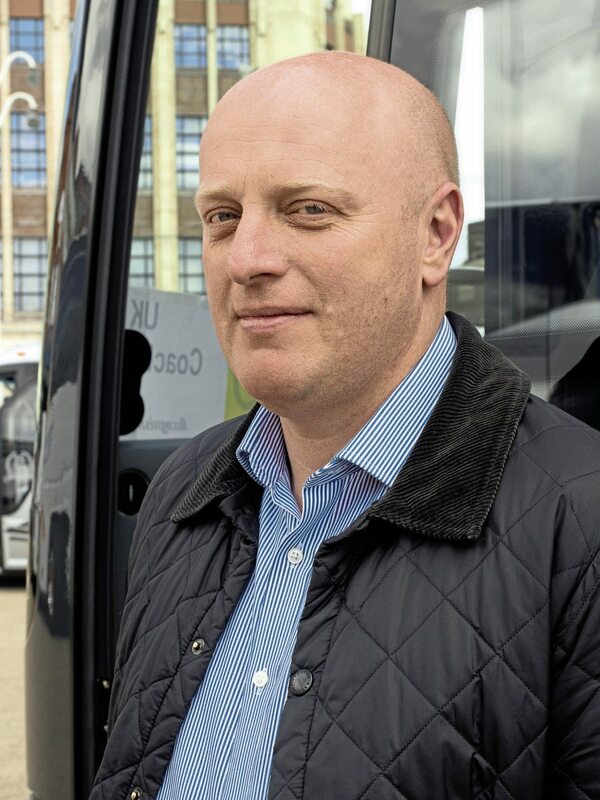 Richard paid tribute to coach operators who are taking on bus work, bringing higher customer care standards into stage carriage: “They are bringing a quality to buses the big bus groups cannot bring. “These are tough times at the moment, with other bus groups seeing a loss in patronage. The industry needs to move forwards and see itself as a retail organisation with customers, not just a transport business with buses. We have to actively chase business.” He said Mark Heritage’s management of the East Coast Buses operation had shown what could be done, growing turnover 52% in 18 months. “The bus industry lets itself down by not setting the right standards and then consistently applying them; it to some degree allows this to happen. We’re going above and beyond that. Coach and bus travel should be like a John Lewis experience,” said Richard. Lothian Coaches drivers will receive a salary and bonus based on meeting the required standards, he said, and will be specially trained. Pride & Joy Clothing worked jointly on the new uniform, which includes a discrete tartan-pattern waistcoat to give a Scottish flavour. 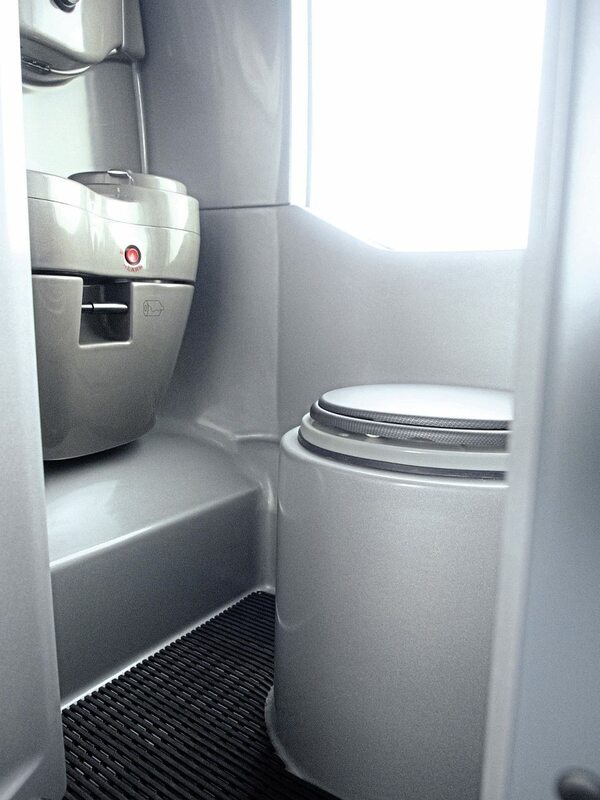 The coaches have ZF EcoLife automatic ‘boxes married to the 380bhp engine. The driver has an Alcolock and Grammer driving seats, timed pre-heater and electronic safety devises such as Lane Departure Warning and AEBS. 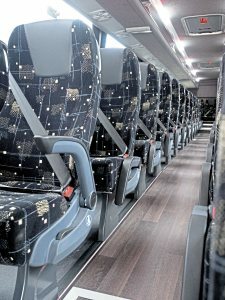 The saloon has Brusa Extend 300 seating with bespoke Camira moquette and leather headrest insets, the moquette pattern common across all Lothian group vehicles but coloured differently for the companies. 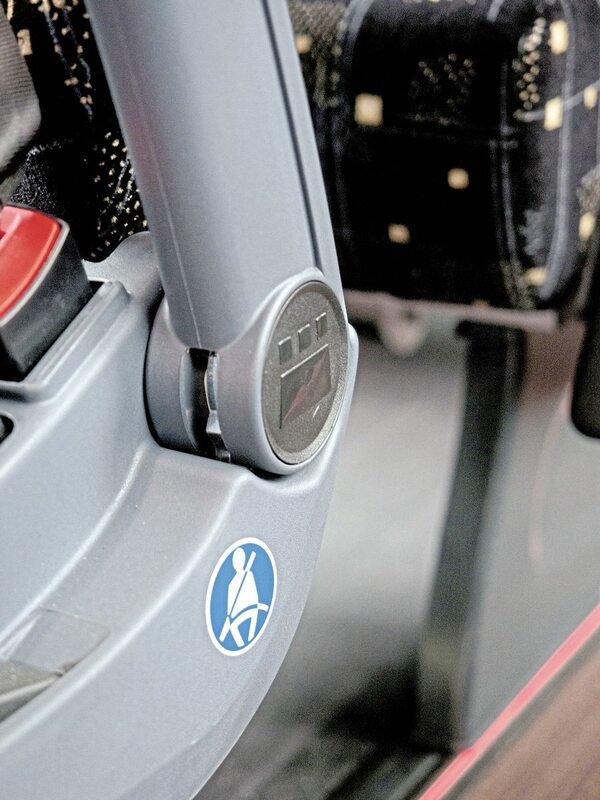 There are USB sockets for every passenger, and the latest ‘punch button’ window breakers for double-glazing. The Panthers have a floor-mounted toilet and are fitted with a nine-camera CCTV system supplied by Sure 24 of Nottingham. 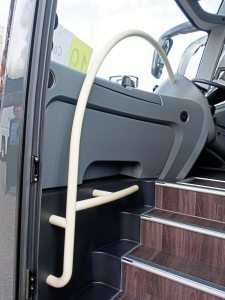 Handrails are in cream. 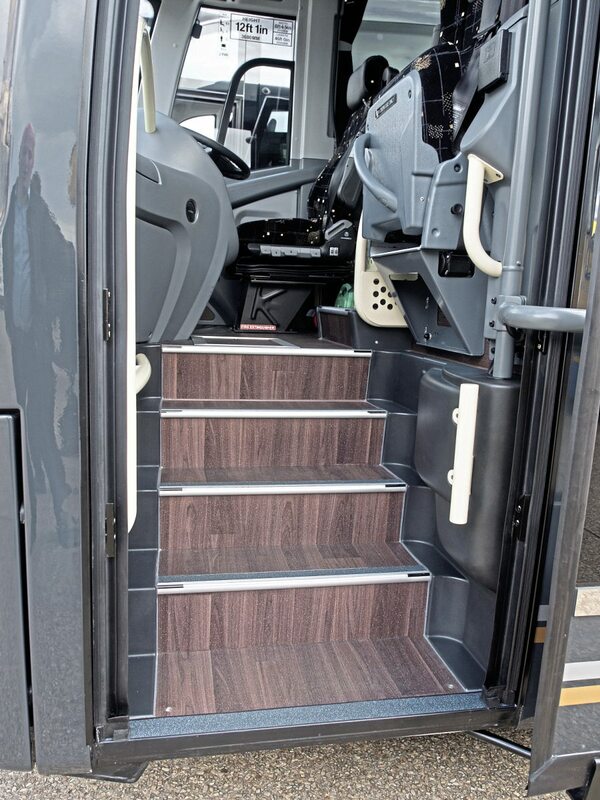 The coaches have power locker doors to the nearside, manual on the offside, and the emergency exits were positioned to achieve maximum seating capacity which, at 61 on 14 metres, offers generous legroom. The livery was fully-finished at Plaxton.